You will need to bring enough supplies for self-sustainable camping in a high desert environment (2,500’ elevation). That means food, water and shelter. YOUtopia strongly suggests that you arrive prepared to be completely self-reliant. Please bring appropriate clothing and camping gear. It may rain, it may not. It’s best to bring something with which you can cover yourself and your stuff so it doesn’t get all wet. It may be windy, it may not. Bring rebar for your tents or plan on weighting it down enough so that it does not blow away in case it does get windy. When preparing to pack your clothing, think about dressing in layers, which can be added or removed depending on changes in temperature or wetness. The La Jolla Indian Reservation Campground strictly prohibits GLASS CONTAINERS OF ANY KIND on the site. ALL TICKETHOLDERS’ VEHICLES WILL BE SEARCHED FOR GLASS CONTAINERS AT THE GATE! Any glass containers found by security at the gate will be confiscated. Due to the sensitive nature of the environment at the La Jolla Indian Reservation Campgrounds, we ask that you leave your pets at home. Please do not try to sneak them in – you will be turned away at the gate if you bring them. While we all try to play reasonably safely, sometimes bad things happen. Please report any emergencies to the nearest Ranger, Security, or at Safety HQ (Safety HQ is located at the top of the hill in Area 5). Emergencies may also be reported to any volunteer with a radio, who can contact personnel appropriate to aid with your situation. There is a large amount of poison oak on the campgrounds. 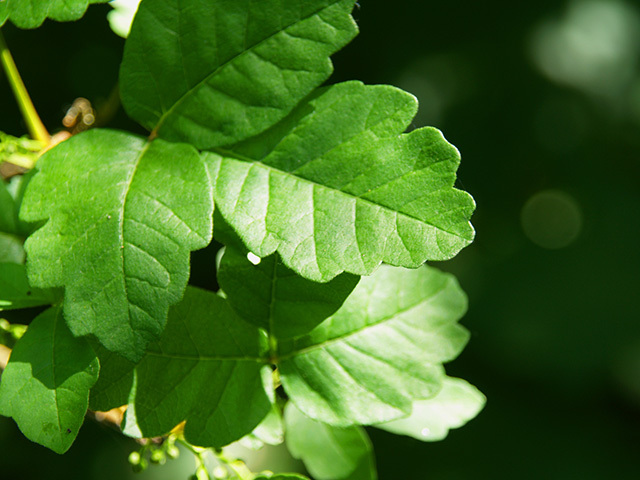 You can get poison oak by touching the plant, its leaves, roots, whatever. You can get it from your clothing that touches poison oak. You can get it by touching another person who has come in contact with it, even if they themselves aren’t manifesting any signs of poison oak. Please avoid coming in contact with poison oak while at the event. YOUtopia takes place in an environment which is prone to wildfire, during fire season. Fire is the number one public safety risk at YOUtopia and it is every participant’s obligation to use responsible wildfire prevention practices. As Burners, we like to burn – but there are ABSOLUTELY NO OPEN CAMPFIRES or FIRE PITS ALLOWED. This means you cannot start any kind of fire in your campsite, and violation of this policy may result in you being ejected from the Event. Simple things we do when we’re camping can result in fires which can quickly get out of control. So be responsible! All cook stoves, grills, heat sources or generators must be placed in areas where they are safe to operate (free of brush and a reasonable distance from flammable materials) and have a proper fire extinguisher at the ready. The Safety teams will be looking for unsafe placement and for your extinguishers, but be good neighbors and plan ahead for fire safety and report any potentially unsafe conditions to a Ranger or Safety HQ (located at the top of the hill in Area 5 just beyond Center Camp). REPORT IT! Immediately send a runner to find the nearest person with a radio - there is ALWAYS someone with a radio at Medical, Safety HQ, Ops, and the front and back gates. FIGHT IT! Be ready to use your shovel, water pail, or anything. Do not leave it to someone else and do not wait. Be careful, but do what you can. The faster a fire is responded to the less risk it has of getting out of control. HELP OUT! Assist the Fire Safety team, Rangers or other volunteers in firefighting. LISTEN! Listen to any instructions from first responders or announcements made via bullhorn - do not question their instructions - follow them. Read our Fire & Heat Source Policy, Fire Performance Policy, and Generator Policy. “If it doesn’t come out of your body, it doesn’t belong in the potty!” Please remember that the port‑a‑potties are designed to receive only human waste and single ply toilet tissue. No handi‑wipes, baby wipes, feminine sanitary supplies, diapers, trash, or gray water are to be put in the port‑a‑potties. There will be water spigots nearby for drinking. No significant water usage (pools, slip ’n’ slides, etc.) is permitted. For fire safety reasons, please do not attach hoses to spigots. Please review the complete rules and regulations for the La Jolla Indian Reservation Campground. Keep the roads clear! This may be your single most important contribution to public safety. In the event of a fire or medical emergency time is precious and clear roads mean emergency personnel can get where they need to be. The roads at YOUtopia are narrow and in many places can easily become blocked by a single car stopping to chat with a friend or ask for directions. Please be conscientious. Study the map and get directions at Greeters so you know where you’re going. If you’re in a narrow area do not stop your vehicle. Never, ever, ever leave your vehicle unattended on the side of the road – seriously – don’t ever do this! If you cannot park your car safely, entirely off the road, keep moving until you can. The La Jolla Indian Reservation is a federal reservation of Luiseño Indians in Northern San Diego County, along the southern slopes of Mount Palomar and was established in 1875. However, the tribe has existed here for thousands of years. Much of the land is undisturbed and is located at the foothills of Palomar Mountain, a semi-wilderness Reservation with the San Luis Rey River running through it. The majority of the landscape consists of oak trees, abundant wild flowers, sage and other indigenous plants, including roots, berries and seeds and small and large game, such as rabbit, deer and wood rats. Please help in the care and respect for the Reservation. The campground is home to many forms of wildlife which you may encounter, including turkeys, raccoons, birds, snakes etc., as well as more pesky critters like mosquitoes, wasps and red ants. Keeping your food stored in bins is a good idea to avoid attracting animals. Bring along a basic first aid kit for scrapes, cuts and stings. Africanized bees (aka Killer Bees) would rather avoid you if possible. If you know you are allergic to insect stings bring your own anaphylactic shock treatment. First aid will be available at Medical. If you are repeatedly stung report it immediately to a Ranger, or Safety HQ; even if you think you’ve recovered from multiple stings there can be long term medical problems that may require further treatment. Snakes are always more frightened of you than you are of them. A number of venomous snakes inhabit this area. Because rattlesnakes can lose their rattles, treat all snakes as potentially dangerous. Always remember to LEAVE ALL SNAKES ALONE! Carrying a walking stick or wearing bells on your shoes helps the snakes know you are coming. If you see one further than 10 feet away, report it to Operations immediately. If you see one closer, freeze in position and have someone contact a Ranger or Safety HQ for you. Snakes will eventually want to move out of the sun, away from you and into shade or a burrow. If you are bitten have someone contact Medical, Safety HQ, or Ranger immediately. Just leave them alone. If they come into your camp or public area, please remove them gently using a container and relocate them away from public areas. Find a Ranger or go to Operations if you feel you cannot do this yourself. Animals in the wild have been known to pass on rabies from bites or in the case of rabbits or rodents pass on tularemia via flea or tick bites. The best advice we can offer you is to keep back from animals you encounter. Make yourself look big and make a lot of noise if you think an animal other than a snake wants to encounter you. Avoid running away. Coffee, tea and ice will be on sale at Center Camp from 9 a.m. through 2 p.m. with bulk ice delivery sales from 2-4 p.m. on Thursday through Saturday, and from 9 a.m. through noon on Sunday (but only if supplies last). Ice is $4 per bag (Cubes only). We're serving coffee, and tea for $2 per cup (PLEASE BRING YOUR OWN CUP). If you don't have a cup there is a $1 cup charge (a.k.a. the “Seriously? Tax”). All coffee and ice profits generated during YOUtopia 2018 will be donated to the Avellaka “Butterfly” Program. Avellaka is comprised of La Jolla Tribal volunteers who advocate for safety, justice, and services for Native women by providing “confidential advocacy for victims of sexual assault, domestic and dating violence, and stalking, including around the clock crisis intervention and support.” The Avellaka Program has been designated to receive our support to further our communal efforts in promoting a culture of consent and raising awareness about sexual violence.